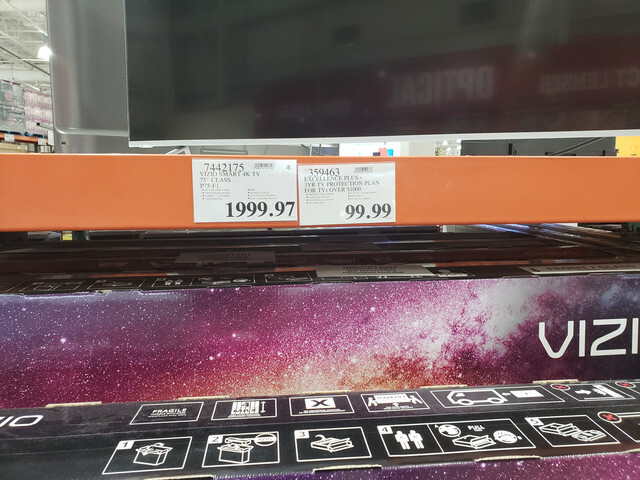 Good deal for this TV. Take a run at this, folks. Still a high price for me, so I'm hoping this continues to tumble down like we're seeing with the M55 currently. If it drops close to the 2000 mark i would buy. Any other locations at this price? Got this tv and i'm pretty happy with it. Some DSE watching hockey, i'm a bit picky about that but overall awesome. Got it near black friday at $2597 got it price ajusted in december to $2399. Also took the costco waranty for 99$, can't go wrong. Whyyyyyyyy doesn't my local Costco's carry this in the 75". Would buy at $1999 for sure! That is not a TV, it is a monitor. It has no integrated tuner. This has an integrated tuner. They brought it back for the 2018 model. Did they solve the panel issues of the P series from previous years too? Now thats more like it. Hmmm now how the heck would i bring this big boy home....my 65" just barely fit in my hatchback.